FROM THE NORTH: SOUTH ON I65 TO THE MERIDIAN ST EXIT, SOUTH ON MERIDIANST TO NORTH STREET, EAST ON NORTH STREET TO PENNSYLVANIA TO THE MINTON- CAPEHART FEDERAL BLDG, SIXTH FLOOR. FROM THE SOUTH: NORTH ON I65 TO WASHINGTON ST EXIT, WEST ON WASHINGTON TO DELAWARE,NORTH ON DELAWARE TO MICHIGAN STREET TO THE MINTON - CAPEHART FEDERAL BLDG, SIXTH FLOOR. ON-SITE PARKING, INCLUDING SPACES FOR DISABLED INDIVIDUALS, IS NOT AVAILABLE AT THIS LOCATION. DISABLED PASSENGERS CAN BE DROPPED OFF OR PICKED UP AT REAR ENTRANCE. ****PLEASE CALL 1-800-772-1213 OR VISIT US ONLINE FOR SERVICE. The Indianapolis Social Security office is located in Indianapolis 46204. The following page includes information for this location like the office phone number, hours of operation and driving directions. If you have any interests or comments about your retirement benefits or are interested in making an appointment, call the following Indianapolis Social Security office. The Indianapolis Social Security office is located in Indianapolis 46204. The following page has information for this location like the office phone number, hours of operation and driving directions. 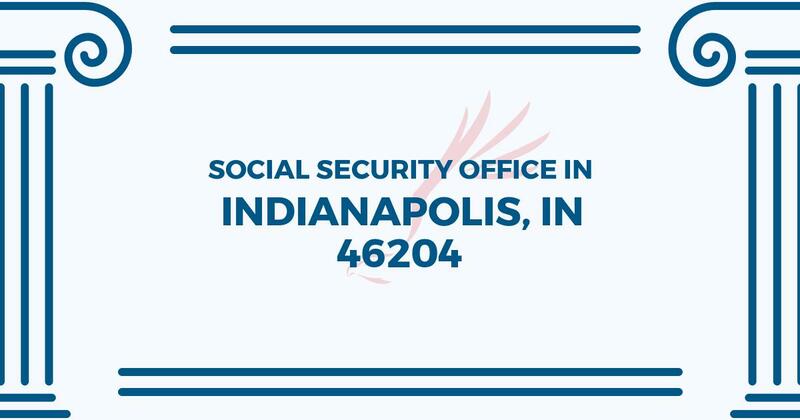 If you have any interests or concerns about your Social Security benefits or are interested in setting up an appointment, call the following Indianapolis Social Security office. I received a call from 818-233-8549 saying if I don’t respond now, my ss# will be blocked permanently. .